The intermodal shipping container was invented back in 1956, which makes this year its 60th birthday — a diamond jubilee for the reigning king of intermodal freight transport. It was, and is a great design — faithfully holding and shielding our goods while they move from point to point; recognized internationally in all corners of the globe, the iconic shipping ‘container’ truly changed the face of trade. Some things, like the paperclip or the Lego brick haven’t changed much since their invention. Shipping containers can be included on this list. The basic container design has been pretty much the same for the past 60 years while the shipping industry has changed vastly. 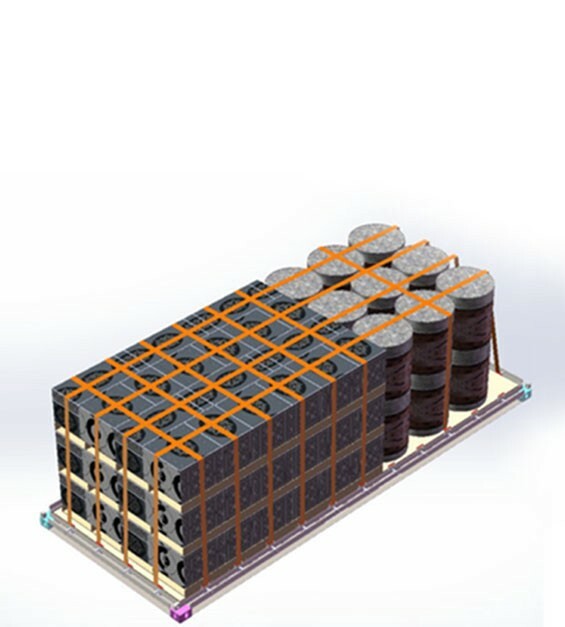 With shrinking margins, more expensive cargos and greater concern for security, we thought it was time for a container design upgrade that directly addresses today’s supply chain realities and offers true, problem-solving value to users. This one is a no brainer. Time is money, and with CakeBoxx you need far less of it to get your goods loaded and unloaded. The deck and lid design gives you 360 degree side and overhead access, allowing the entire container volume to be easily and efficiently utilized — perfect for odd-shaped cargo. 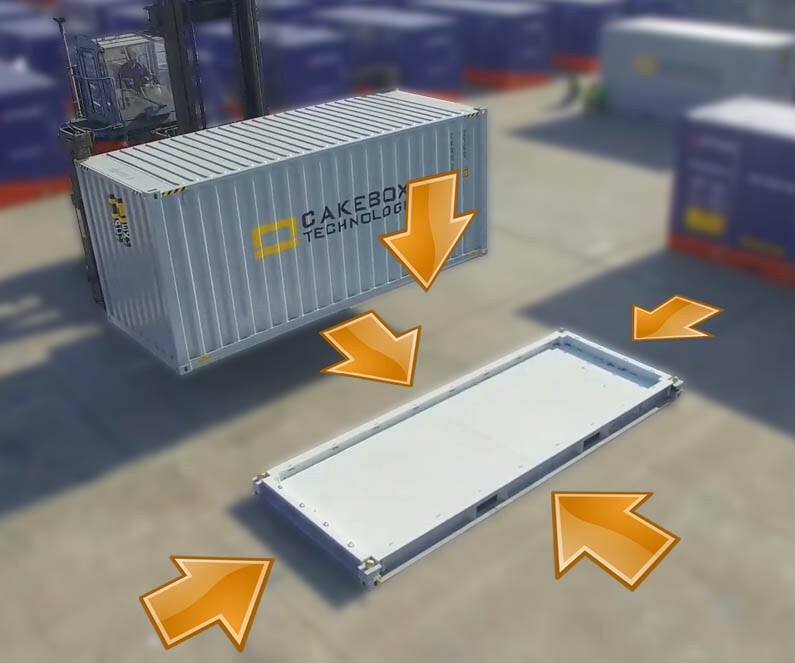 Health and Safety remains a real-world concern at ports, terminals and depots globally, and CakeBoxx is whole lot safer for those doing the loading and unloading from inside a cramped container! CakeBoxx isn’t just the safest container for loading and unloading, it’s the safest way for your cargo to travel, too. Our tailored Perimeter Tie Down System (PTS™) provides a wide array of lashing options to address any cargo — greatly reducing the chance of damage in transit. Industry tough rubber seals between the deck and lid keep goods safe and dry. This’ll keep your customers happy, and your insurance company. Cargo security is a big deal. Even the largest companies struggle to keep their cargos protected from compromise. Keeping intruders out is a key design factor for CakeBoxx. The deck and lid basic form factor has no penetrable doors so it’s impossible for intruders to sneak inside to steal goods or worse, plant illegal stuff inside. CakeBoxx containers come in all the standard ISO sizes you’d expect for a shipping container, but we understand that’s not always what you need — in fact CakeBoxx Technologies work with clients around the world every day to design and build customized CakeBoxx containers to suit every requirement. Size, shape, insulated or even adapted to become something else; anything is possible with CakeBoxx. In partnership with Globe Tracker, every CakeBoxx container purchased comes with the option of a factory installed Globe Tracker Communications Unit and a 12-month complimentary subscription to Globe Tracker services. 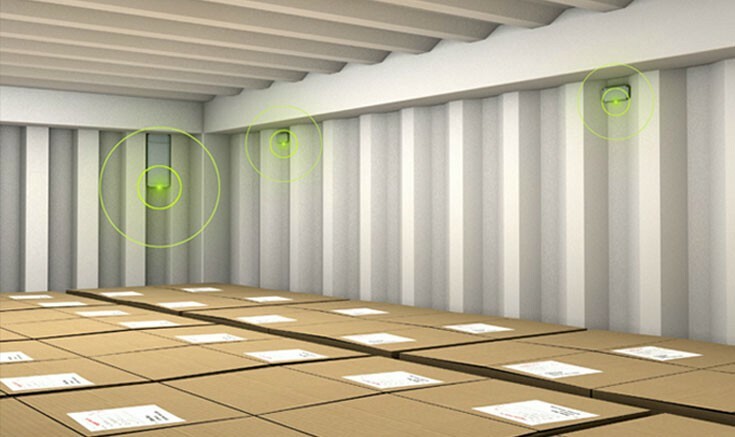 Globe Tracker’s leading-edge smart container technology provides true end-to-end supply chain visibility and a revolutionary way for supply chain stakeholders to seamlessly and securely share shipment data.